Standard Chartered KL Marathon is only a few days left and we want you to go through the smoothest experience you’ve ever had. This time round we would like to help all the muslims to feel at ease performing prayers during the running period. 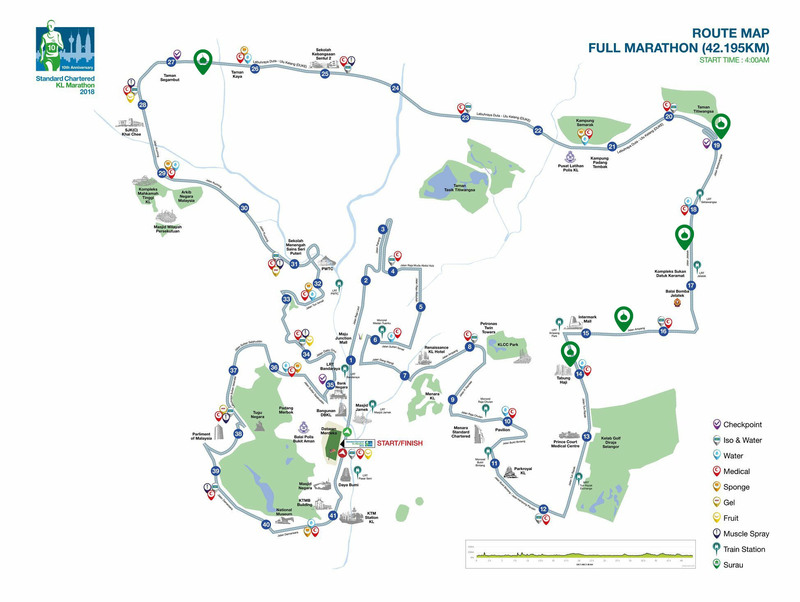 For half marathon, the suggested prayer area is located at the side road of the Lebuhraya Duta – Ulu Kelang (DUKE) when you’ve reached 11km, slightly after you pass the water station. Though there is only one surau suggested here, there are also few mosque along the road. The first mosque you’ll pass through is the Masjid Jamek before you hit 1km running. After 14km running, you’ll meet another mosque Masjid Wilayah Persekutuan. If you can make it on time, at the end of the route, you’ll see the last mosque which is Masjid Negara. As for Full Marathon, more suraus are suggested here. The first surau you’re going to pass is at 14km running (close to Tabung Haji & water station). Then, you’ll see a surau by the road side of Jalan Ampang after 15km run. After Kompleks Sukan Datuk Keramat and LRT Jelatek you’ll find another surau located at the road side of Jalan Jelatek. At 19km run, the surau is located close to the checkpoint by the road of Jalan Setiawangsa. The last surau that is suggested for marathoner is close to the checkpoint is at the DUKE road, that is after 26km running. 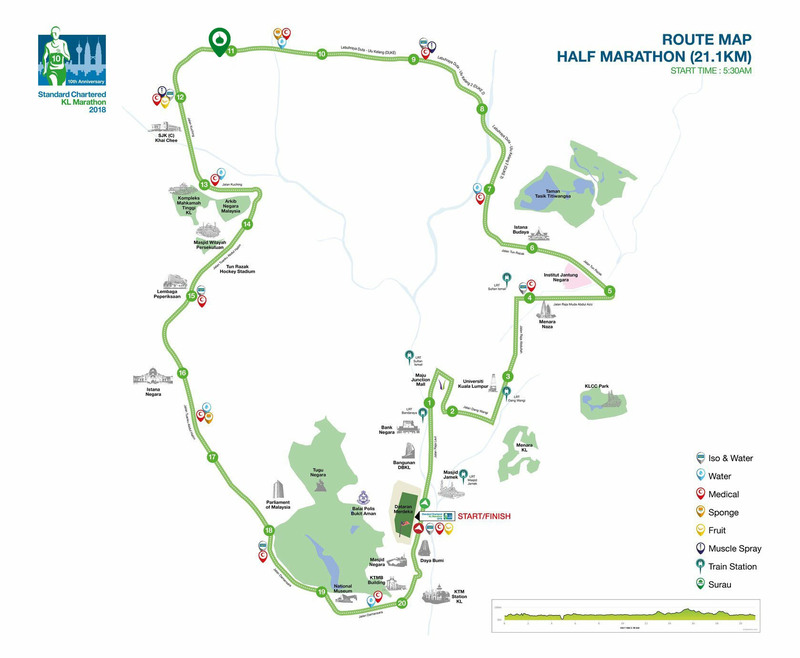 Just to inform, the mosque available near the route is the same as what the half marathoner will pass: Masjid Jamek, Masjid Wilayah Persekutuan and Masjid Negara.